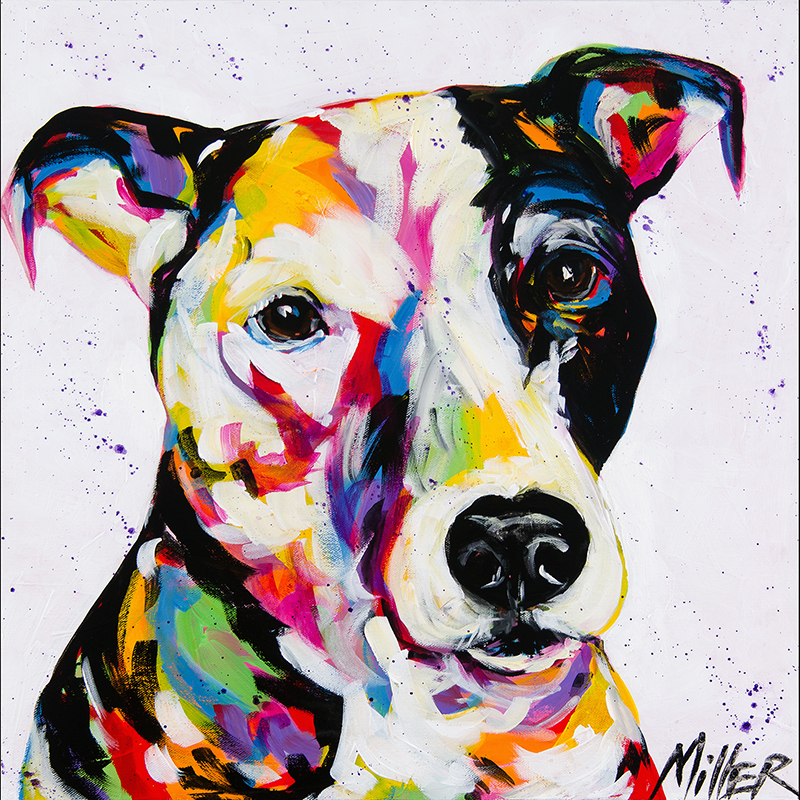 If you’ve been following my work for a while, you may know that I create these colorful dog and animal portraits. I grew up around animals, and I love painting them in true abstract expressionism. As I paint, the animals I’m working to capture reveal themselves to me slowly. 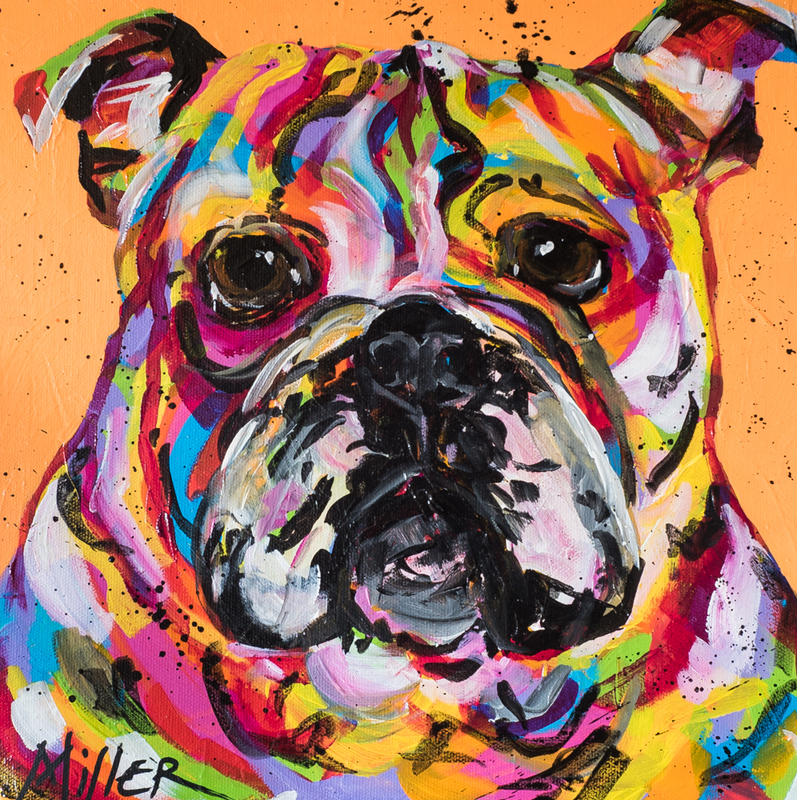 I use bold brushstrokes and vibrant, charged color schemes to capture their personality and spirit. From there, I refine their key recognizable characteristics – capturing them as we see them. I strive to create a unique portrait of the animal subject every time I start working on a new piece. Every animal, after all, has a unique personality. I feel that by capturing them in such a primal way, I can help represent the special space they take up in this world. 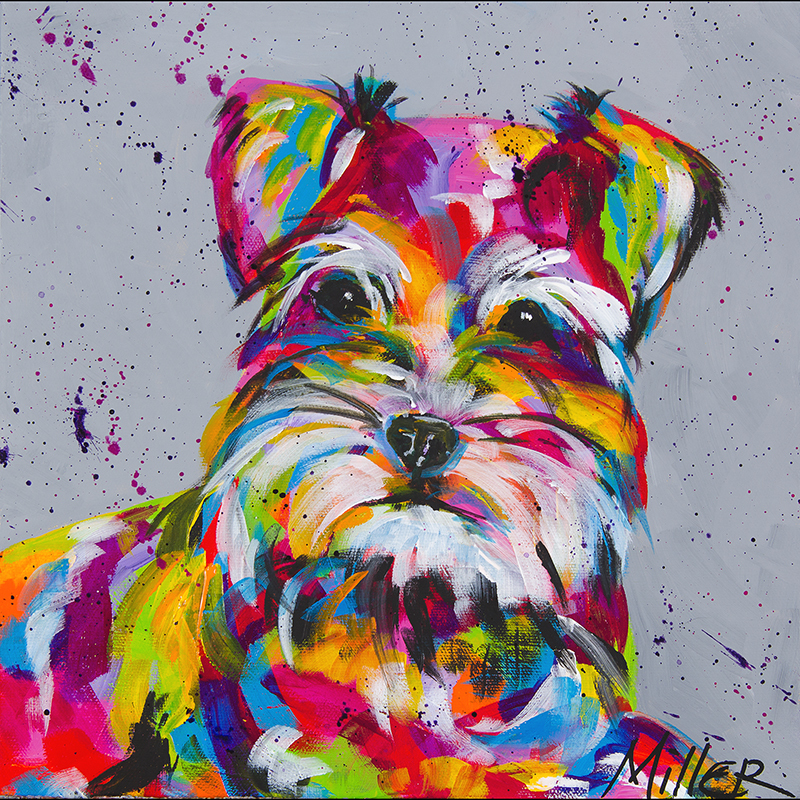 Through bright colors and lines that capture their quirky, individual expressions, I’m showcasing them as exactly what they are – individual, happy, creatures who add value during their time with us. Originally, these portraits were a way for me to interact with animals – which I love. Living in Colorado, I have a lot of opportunities to see and visit with western wildlife in a way I might not be able to if I lived elsewhere. As my paintings gained some traction with collectors who were familiar with my work, I started to receive commission requests. 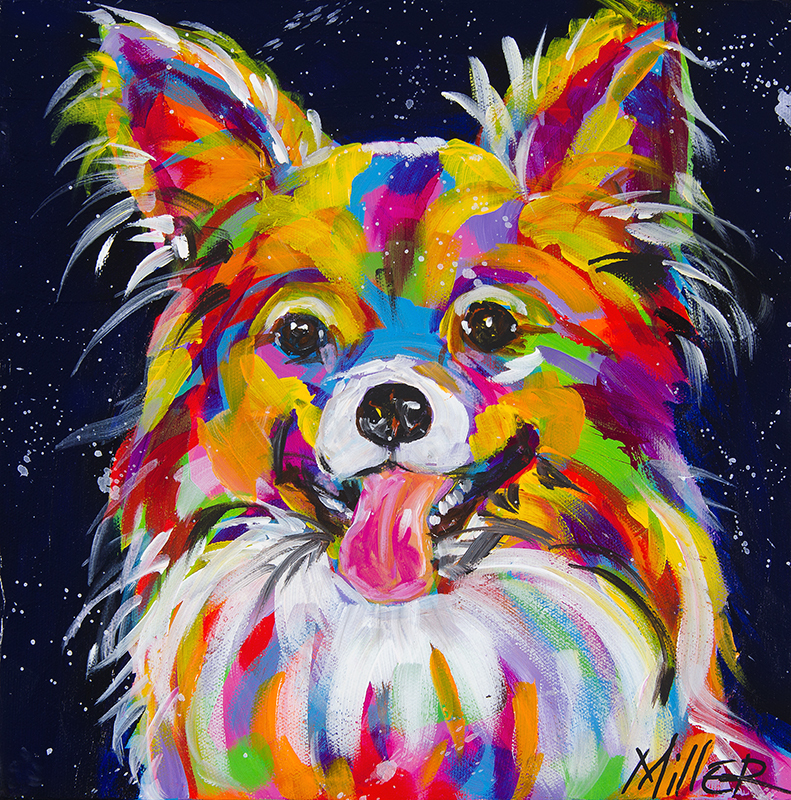 Painting someone’s pet, whether they’re living or deceased, is an important way that I can help them remember their beloved furry friend and capture that special relationship. As commissions became increasingly popular, and my originals started selling on Ugallery.com, I started opening myself up to the prints market. As an artist, I strive to be realistic. Not everyone can afford a commissioned piece or an original, and that doesn’t mean they shouldn’t be able to access art that moves them. If you’re connected to a piece on an emotional level, as many people are when you’re dealing with animals as a subject matter, you want to have access to that art. For me, there’s a huge difference between the originals and commissioned paintings world and the prints world. Getting involved in having my art created for mass-printing has been a game changer for me. I feel like my creations are now accessible to a broader public, and that’s an incredible feeling. In many ways, this feels like my calling – making people happy through my work. Being given the opportunity to cast a wider net and bring that joy to more people through my art has been an enriching and rewarding experience.